Hannah Romanowsky is a professional performing artist, dance educator, and the founding director of the DanceVersity multicultural youth arts education program. She holds a B.A. in Dance Ethnology with a Minor in World Music, an M.A. in East-West Psychology, and has a remarkably diverse background in both Eastern and Western dance traditions. Hannah began her training at age 6 at the Kreuzer Academy of the Performing Arts and grew up on the stage immersed in theater and dance. She began studying dance, music, and costuming from North Africa, the Middle East, and the Balkan Roma with folklorist Katarina Burda, and performed in her company Aywah! Ethnic Dance Company for many years. She went on to study Persian and Central Asian dance with Sharlyn Sawyer, and has performed with the esteemed Ballet Afsaneh, under the artistic directorship of Sharlyn Sawyer and assistant director Miriam Peretz, at some of the most prestigious venues in the San Francisco bay area. While in Tajikistan in 2011 she was an artist in residence at the Padida Dance Theater of Dushanbe and trained with some of the most highly regarded masters of Tajik dance. Ms. Romanowsky has also toured China, studied with the Roma of Turkey, and participated in the Desert Dance Festival in Rajasthan, India with Shuvani. Hannah’s career emphasis has been on the traditional repertoire of the Middle East and Central Asia, she has also trained in flamenco, North Indian kathak, and dances of the African Diaspora and Latin America with bay area master teachers, including Yaelisa, Chitresh Das, and Ramon Ramos Alayo. In addition, Ms. Romanowsky was a founding artist of Wan-Chao Dance, an ethno-contemporary company directed by choreographer Wan-Chao Chang. In addition to ongoing training in the Suhaila and Jamila formats at the Suhaila Salimpour School of Dance, Hannah continues to expand her knowledge and repertoire though the ballroom arts, tango, and swing with her partners Tom Mayock and Suzie Hardt. 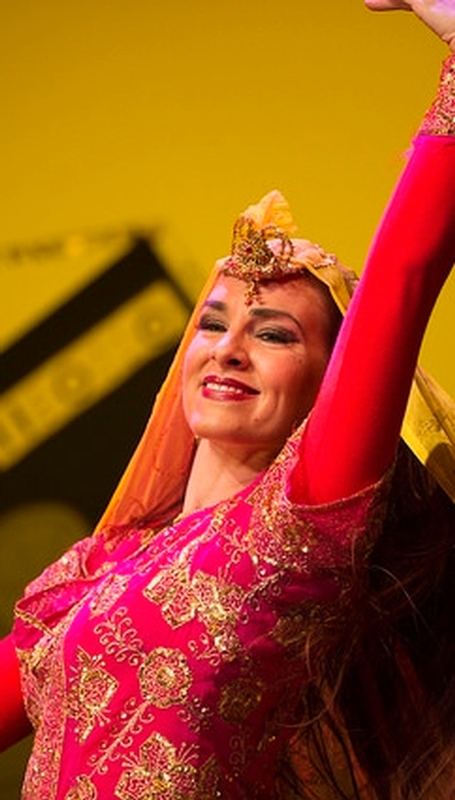 She teaches classes in Middle Eastern dance at the Marin JCC and Suzie’s Studio in San Rafael, and Persian dance at the Suhaila Salimpour School of Dance in El Cerrito and the Afsaneh Dance Academy in Berkeley.